Chatterton Lacework, a specialist in traditional heritage lacework, was involved in the restoration of a heritage cottage. The heritage cottage has a traditional verandah, which features the classic Chantilly lace design with the unique design of the lace corners repeated on the gable. 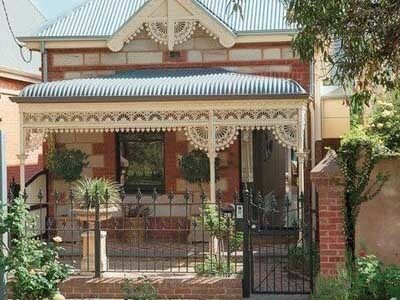 The classic verandah posts complement the verandah as do the traditional Victorian front fence and gate. Various products from Chatterton Lacework including reproductions of old style and heritage lacework have been widely used in the restoration of heritage properties across Australia.